The importance of property as an investment medium continues to grow. Investors in property or those involved with the provision of expert advice to investors have had to improve the effectiveness and efficiency of their decision making. 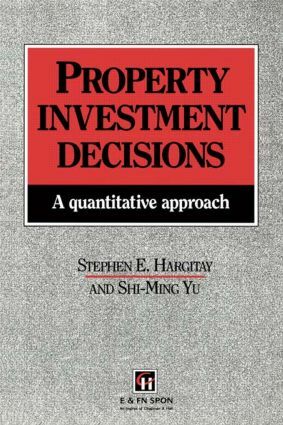 The aim of this book is to lay down the theoretical foundations of investment decision making, incorporating the techniques and procedures of modern management science, so that particular decisions regarding property investment can be made efficiently and rationally.